The DSMT-Dar El Tifl School Scholarship Programme funds two-year school scholarships for girls to complete their schooling to age 18. All the girls on this 2016 video successfully completed their schooling and have now progressed to higher education. 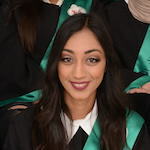 Two of them, Narmeen and Haneen were awarded DSMT HE scholarships in 2017. The school’s need for support continues to grow. Most Arab Jerusalemite families live with permanent financial insecurity linked to the Occupation and resulting economic isolation, which adds to the many other day-to-day pressures on their lives. For around 25% of pupils at Dar El Tifl their future at the school is precarious without some external help, an increase since 2016. From 2007 to 2015 the value of DSMT school scholarships stayed the same whilst costs for the school and families rose sharply. In 2016 we raised the value of a school scholarship from $6,000 to $10,000 to reflect current costs and to increase our support for the school. This covers all the living expenses and costs of keeping a girl at school for two years: including tuition, books, materials, equipment, uniform, travel to school, food, visits, extra curricular activities, plus a contribution to the school’s running costs (often in deficit). Thank you to all our generous supporters for enabling us to increase the value of our contributions. DSMT is delighted to announce our latest school scholarship awards. This year the school has chosen to allocate DSMT’s annual contribution to support the education of five needy girls. 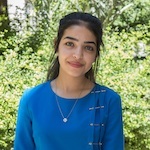 Each girl has been awarded a scholarship to complete the last two years of her education at Dar Al Tifel School and take the national school leaving exams in 2020. Rahaf, Nourina and Natal will be studying in the Science Stream, whilst Razan and Nadeen have chosen the Literary/Humanities Stream. We wish them all the very best for their studies and look forward to sharing their stories with our supporters. In 2017 DSMT funded an additional scholarship as a result of the generosity of people who supported Francesca’s very impressive London Marathon run. Thank you everyone. Your contributions are making a real difference. These four girls were awarded school scholarships in summer 2017 and have now completed 11th grade and successfully progressed to 12th grade. Congratulations to them all for the excellent grades they achieved. Aya is studying in the Scientific stream. She lives with her mother and grandmother. It is a financial struggle for them to keep her in school. Baraa is from a family of eleven where all children are still in education. Her mother is the parent who carries the responsibility of supporting them. 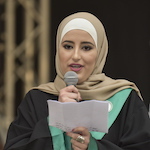 In summer 2017 Baraa was diagnosed with Hodgkin’s lymphoma. She is responding well to treatment and is continuing with her studies in the Literary stream. “Thank you for supporting me to complete the 11th grade . And this year in 12th grade I will be good in all exams , to complete my education after the school in the university ( Bethlehem University). I hope it will be a good experience in this year and I will challenge everything to complete. Then I will study psychologist to work in the hospital , if I have a good marks in the 12th grade . I hope to see you again later ! …. Muna is studying in the Literary stream. Her father died some years ago and her mother struggles to support the family. Layan is in the Scientific stream. Her father died five years ago. 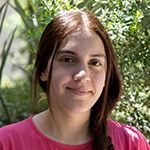 One of her sisters is studying at university on a DSMT HE partial scholarship, and another is at Dar El Tifl School. 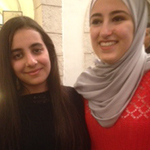 (L-R) Lana, Tala and Rawan were awarded school scholarships in 2016 and successfully graduated from school in summer 2018. 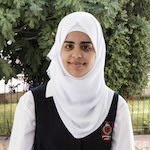 All three girls achieved really impressive marks in their tawjihi examinations and have progressed to higher education. 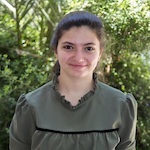 Lana, is a very able girl from a large family, all still in education. 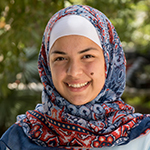 She graduated from the Scientific stream in 2018 with a tawjihi mark of 93.4 and is now studying Dentistry at Al Quds University. 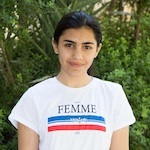 Rawan: Rawan’s family live the Old City and have several children still in education, including Rawan’s twin sister. 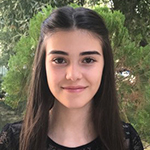 Described as an ‘exceptional’ student, her 11th and 12th grade school marks were truly excellent and in summer 2018 she passed her tawjihi exams with a staggering mark of 99, the highest result of all DSMT school students over the last twelve years. 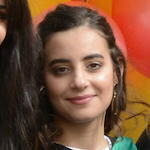 She is now studying Computer Engineering at Birzeit University and has been awarded a DSMT Higher Education scholarship. Tala lives in a single parent household. 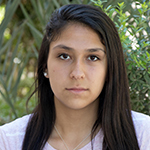 .At the start of 11th grade she was uncertain about whether she wanted to go on to higher education. 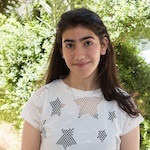 She worked very hard through 11th and 12th grade and was rewarded with a mark of 90 in the tawjihi exams. She is now studying Nursing at Al Maqased Hospital . Congratulations to all three girls on their splendid achievements! We wish them all the best for the future. In 2016-17 Lana and Rawan took part in a joint film project called ‘Reel Stories’ with girls from a school in Dearborn, Michigan, the home of the Arab American National Museum. The project was funded by the US State Department and included exchange visits. The Dar El Tifl al Arabi campus is home to the Palestinian Heritage Museum as well as the school.